It’s been a Royal Week in the Kindergarten. It really has just been so much fun watching the growing independence of our amazing children. 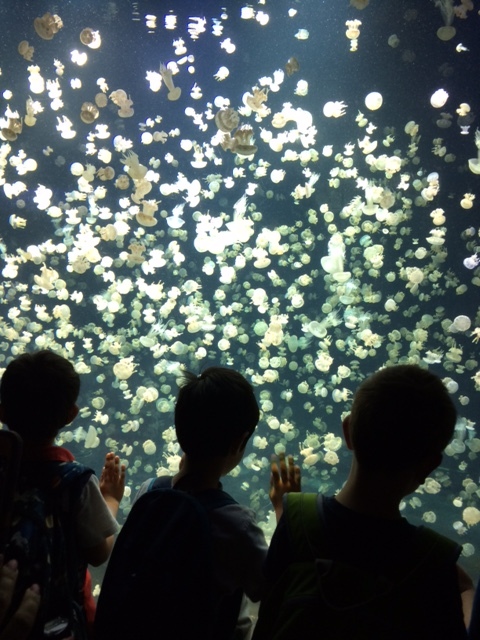 We had a wonderful time at the Vancouver Aquarium on Monday! The natural curiosity and wonder of 5- and 6- year old children as they asked hundreds of questions, shared their knowledge and tried to make connections with their understanding of the Ocean World is truly astounding. It was so clear to us how many discussions the children have had with their parents, read books and watched movies together and taken in so much information. We’re proud that our students have such a keen interest and awareness of the natural environment and as are all stewards of the Earth, we’re motivated to help conserve as much as we can for their learning and enjoyment in the future. We had a serious chat with our children about the importance of representing our school while we were away on our field trip. 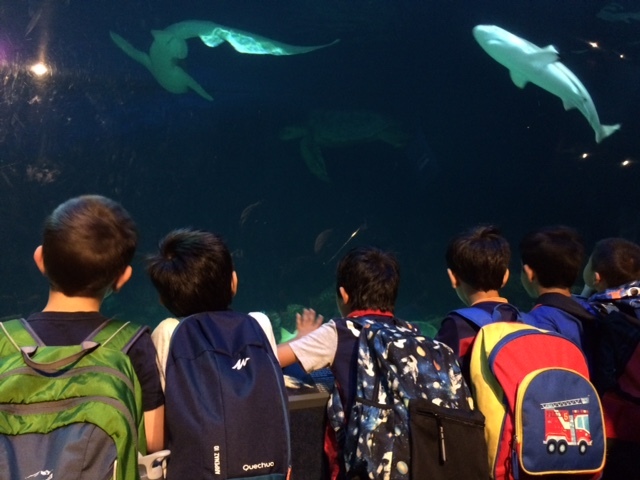 Attendance on a field trip is a privilege; as the teachers, we need to be able to trust our children while they are being supervised in a non-school setting by us, parent volunteers and interacting with the Aquarium staff. As we moved through the exhibits, we watched our children walking between the crowds, staying within sight of their adult leaders and taking turns with students from other schools at the shared activities. For Christy and myself, observing the transfer of self-regulation strategies to multiple social environments is key for us in confirming our teaching practises. Our next major event of the week was a day of great excitement: Division 16’s William was Ridgeview’s Principal for a Day. William’s family had the highest bid for this special privilege during the live auction at our school’s Library Modernization Fundraiser Gala back in May. William was able to spend half a day with our principal, Mrs. Valerie Brady, to learn all about the different responsibilities and decision-making the principal of a large school has to take on. For his first principal decision, William extended the morning recess by five minutes, much to the delight of the student body. 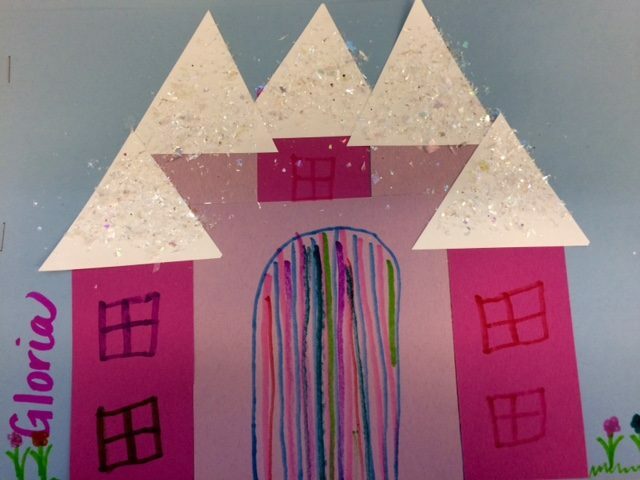 A tour of the custodial offices, a visit to the school kitchen to check on the leftover Sports Day Freezies and a ride on the school elevator down to the Primary wing to deliver the Grade One school supplies “suitcases” made for a busy and productive morning. We finished off the school week with the annual Primary Variety Show featuring children from Kindergarten to Grade 3. Students performed on the piano, sang, played guitar and we even had an amazing hoola hoop dance! Division 16’s Maaike played the piano for an appreciative audience and we were very pleased and proud that one of our own was up on stage. All in all, it was a very satisfying week. This is the last Kindergarten newsletter! We can’t believe how quickly the time has gone and how our little ones have grown to now be entering Grade One. This week we are collecting all Home Reading books. Last Friday was the last day to take home books. Please return all books you might have a home. Tuesday, June 27: It’s our “Beach Day” for Kindergarten. We’re not actually going to the beach; rather, we’re going to do some beachy activities in our undercover playground. The table we use in the House Corner for a baby change table was just recently discovered by some students to actually be a water table, so we will bring it out and put it to its proper use. We’ll have sand trays, bubble blowing, hoola hoops, and lots of outdoor games such as chalk, skipping ropes and hopscotch going on. Thanks to our parent volunteers for bringing in snacks! Wednesday, June 28: It’s the Grade 7 Graduation Ceremony and our children are playing a very important role. We will be presenting flowers to our Big Buddies. 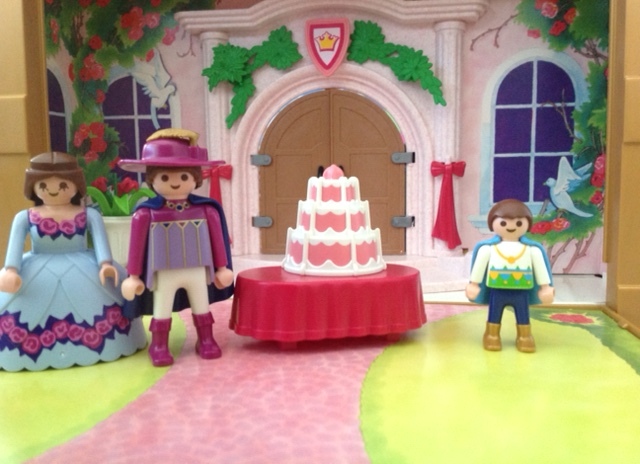 We would like our children to dress-up for this formal occasion. Children can bring clothes to change into for the afternoon. We will open the staff washroom for them and the children can change one at a time in private if they wish. We should be “on” around 11:40 am, if the schedule is the same as last year’s. Parents are welcome to come and watch but please leave room for us to enter the gym and walk up along the East wall. Thursday, June 29: It’s the last day of Kindergarten and we will just be enjoying some time with our students. Please remember that dismissal is at 12 noon for Kindergarten only.